Congratulations to Sigrid Lundin and Rahul Kumar for finishing the Berlin Marathon 2015! CONGRATULATIONS to Sigrid Lundin defending her Master thesis! Good luck to Rahul Kumar running the Stockholm Marathon in torrential rain! We have received a 4-year research grant from Vetenkapsrådet for studying stem cell chromatin and a grant from Åke Wibergs Foundation for studying the role of chromatin regulators in suppressing genomic instability. The double-stranded DNA molecules that make up the human genome are present inside the nucleus of a cell in a highly condensed state – it requires a ~10000fold compaction to fit its 3 billion base pairs into the tiny available space. So-called histone proteins achieve this task by wrapping the DNA like strings on beads. Through this packaging mechanism, we think that histone proteins are the key to regulating access to the genetic information and provide a molecular basis for indexing or annotating the genome with so-called epigenetic information. Histone proteins carry a large number of distinct chemical modifications or ‘marks’, providing a verbose epigenetic language. As a field, we have only started to appreciate the intricate complexity of this histone code. Our study investigated the mechanism of silencing transposable elements in a mouse embryonic stem cell system. These parasitic DNA elements can transpose or ‘jump’ and multiply within a host genome and have played an active role in animal evolution, facilitating genetic variation and adaptation. But their activity represents a threat to the host genome and thus they are almost always actively silenced. We have found a new factor that is used to mark specific DNA elements for silencing. It is a variant of one of the core histones, H3, called H3.3, which has been intensely studied in other processes. But no one has looked at transposable elements, possibly because they are often considered to be of no particular function to the cell. Unexpectedly, we found that a large fraction of the histone variant H3.3 occupies transposable elements in mouse embryonic stem cells and our genetic studies show that it is required to efficiently silence the underlying DNA elements. 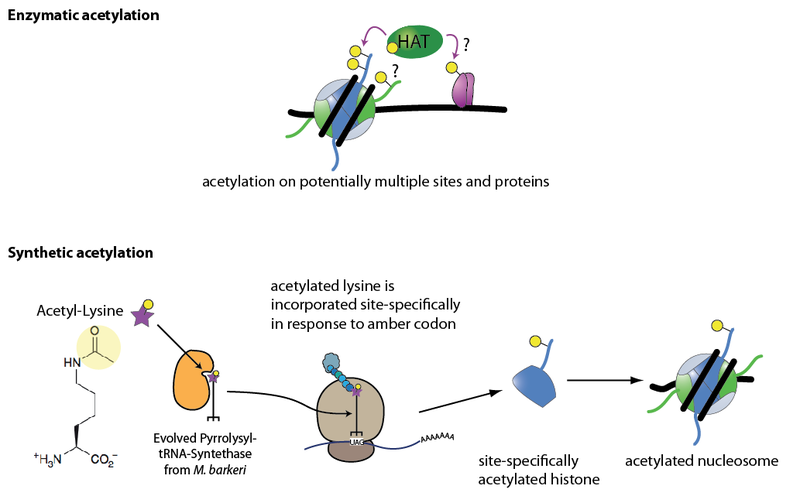 The combination of H3.3 with a known silencing mark, histone H3 lysine 9 trimethylation (which in no other instance are found together) provide an exceptionally strong signal to the cell to ‘not read from this genomic region’. But why is this mechanism so important? When we deleted all H3.3 genes, we found that the repressive histone modification H3K9me3 is significantly reduced and some previously silenced elements are reexpressed. While we conducted our experiment in mouse cells, the mechanism is very likely conserved to humans. Over the last few years a number of cancer types have been found to harbor frequent and recurrent mutations in the histone variant H3.3 and two other associated genes, DAXX and ATRX, notably pancreatic neuroendocrine tumors and a family of aggressive childhood gliomas. In our study, we found that DAXX and ATRX proteins, like histone H3.3, are required for the silencing mechanism. Thus it is possible that the new molecular detail we describe plays an important role in maintaining genomic stability in the affected human tissues, a hypothesis that can be tested in the future.